August 17, 2016 By Allyson 3 Comments This post may contain affiliate links. Read my disclosure policy. 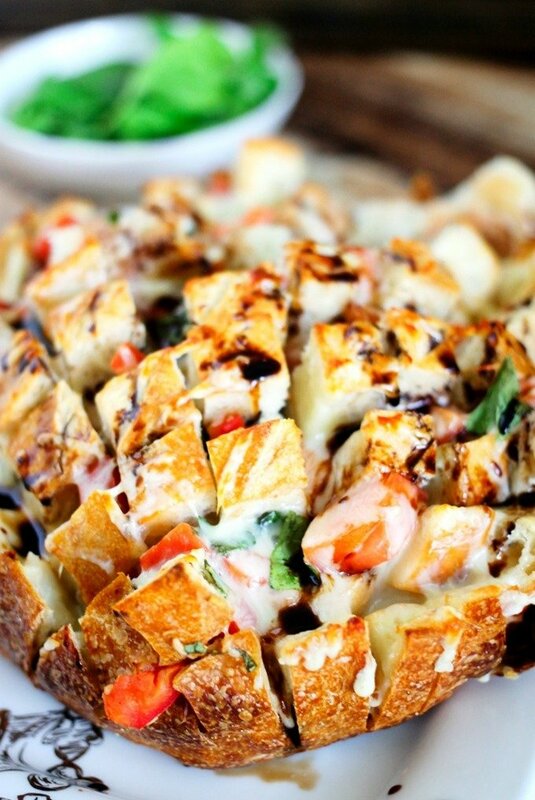 Caprese Stuffed Pull Apart Bread is fresh bread stuffed with delicious fresh tomatoes, basil, and mozzarella, then topped with a sweet and tangy balsamic glaze! 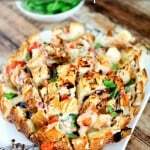 The other day I was making some Bruschetta Chicken Pasta, and I thought to myself that a bruschetta style stuffed pull-apart bread would be AMAZING! I added it to my to-do list and made it a few days later. I was going to call it bruschetta, but then I realized that adding the cheese makes it more caprese style, right?! This Caprese Stuffed Pull Apart bread is full of fresh tomatoes, basil, mozzarella, and then topped with a delicious balsamic glaze. 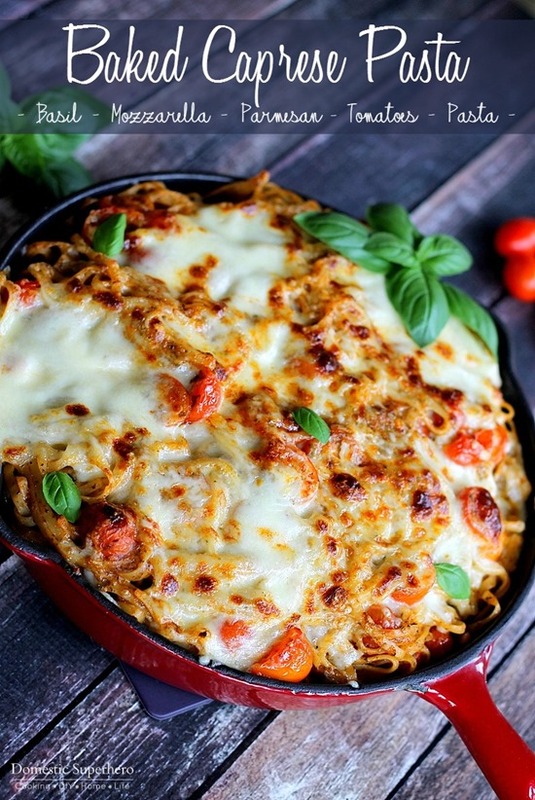 It is seriously so delicious and super easy to make! 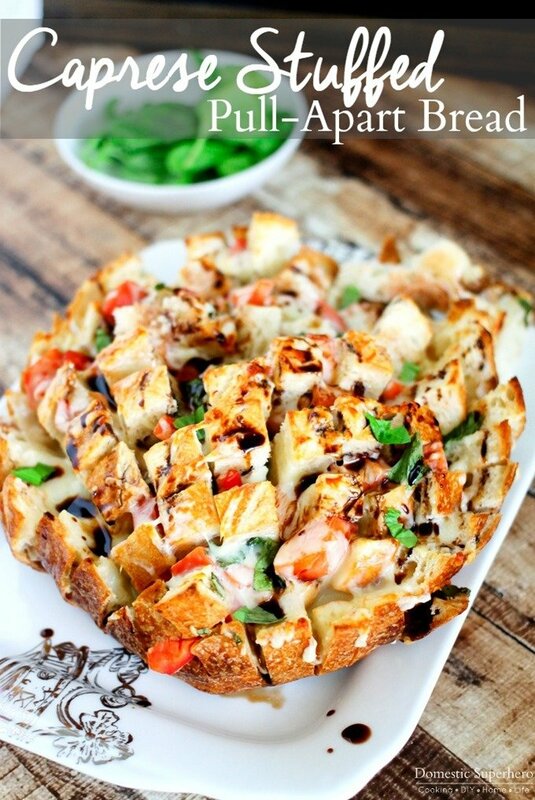 This makes the perfect party appetizer or game-day snack! 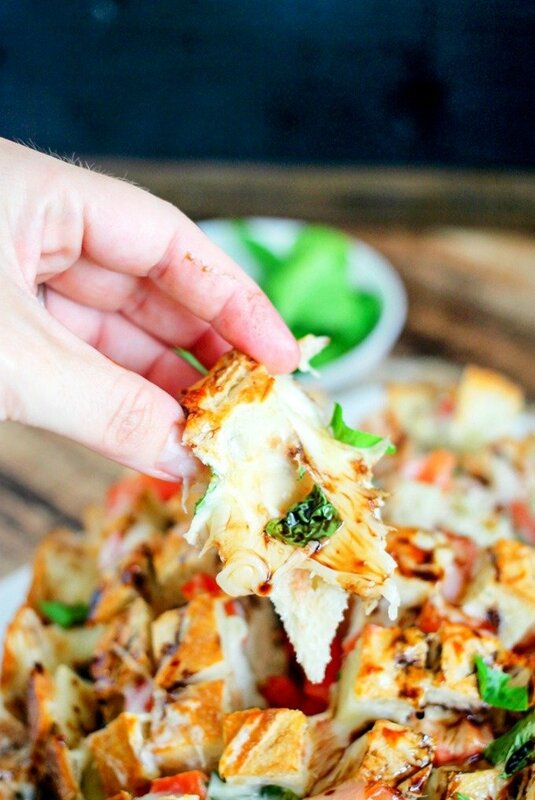 I love this Caprese Stuffed Pull Apart bread because all the ingredients are really fresh and come together so well…I mean, who doesn’t love a caprese salad?!! Add some delicious bread to the mix and you’ve hit the jackpot! Definitely don’t skip out on the balsamic glaze with this recipe because it really takes it to the next level! It adds something you otherwise just don’t get otherwise. I even made a video to go with this recipe, so you can see just how easy it is to make the Caprese Stuffed Pull Apart bread! 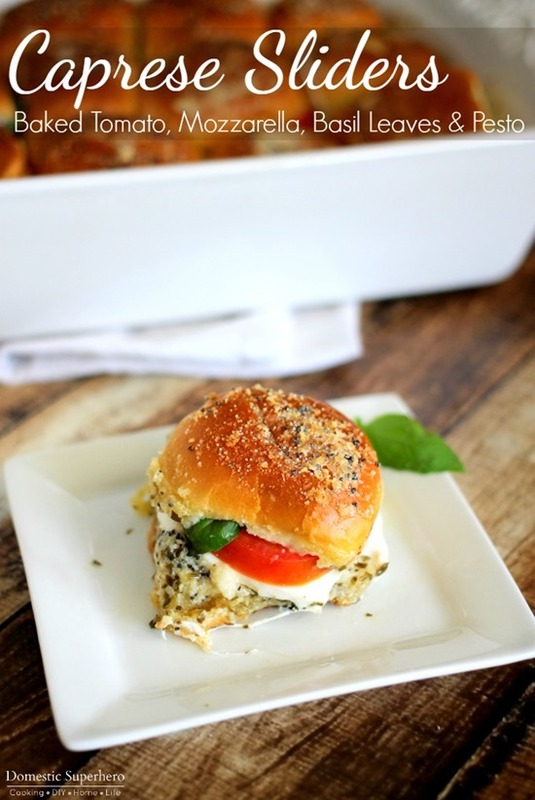 Between my Caprese Grilled Cheese, Caprese Sliders, and Caprese Baked Pasta…I’ve gone a little caprese crazy! I love it though! 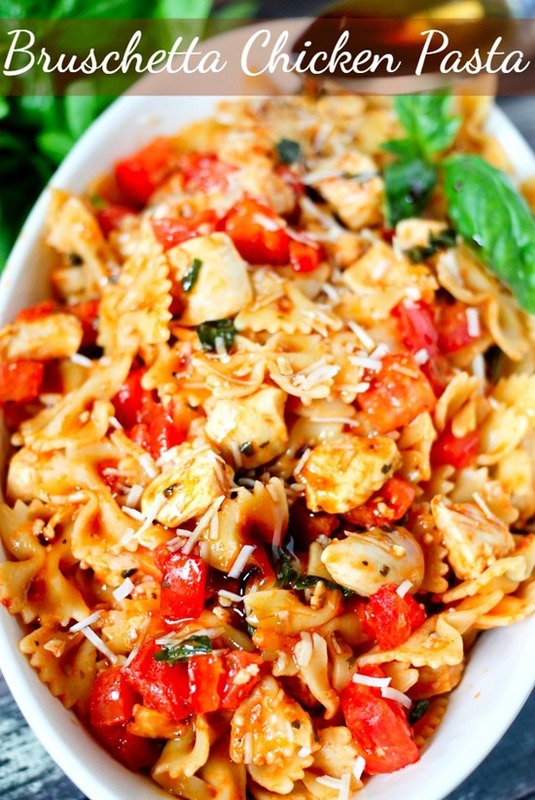 Add tomatoes, basil, garlic, salt and pepper to a bowl; stir to combine, set aside. Stuff tomato mixture into cracks/creases of the bread, distributing as evenly as possible. Then stuff mozzarella cheese into cracks and on top of bread. Carefully cover with foil, tenting it so that it doesn't touch the top of the bread/cheese. Place into oven and bake for 10-12 minutes. While the bread is baking, add balsamic vinegar and sugar to a small sauce pot over medium high heat. Whisk until sugar is dissolved and bring to a boil. Reduce heat to a simmer, and simmer for about 5 minutes, whisking occasionally. Remove from heat and set aside. Remove the bread from oven and remove foil. Set oven to broil, and place back into oven and broil for 2-3 minutes or until lightly browned. Be careful not to burn the bread. Transfer the bread to a platter and then drizzle with your balsamic glaze. Add more chopped basil as a garnish if desired. Serve immediately. 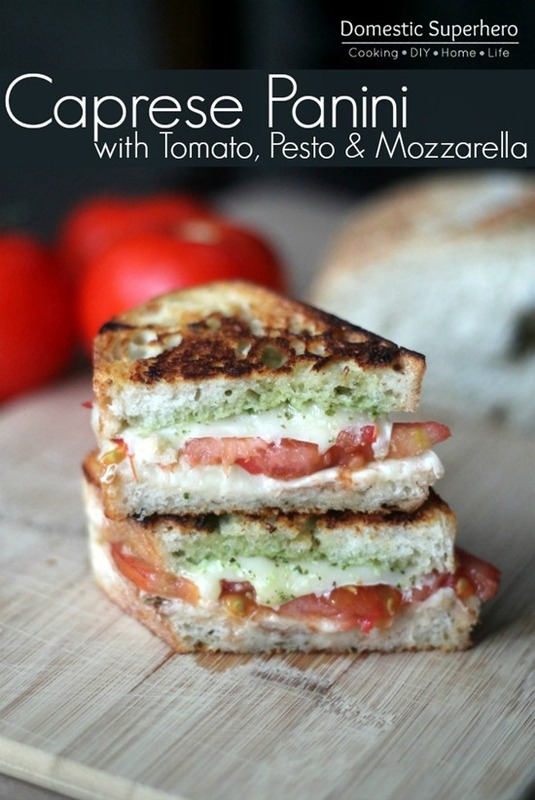 If you like Caprese as much as I do, check out these other recipes from Domestic Superhero!